When: Sunday, October 30 – Wednesday, November 2, 2016. 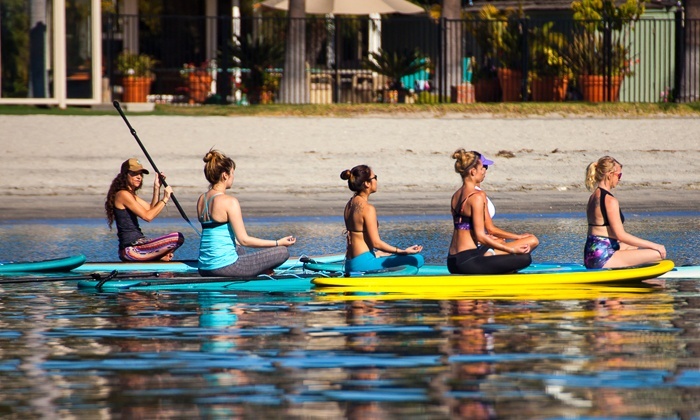 Open your heart with Robin Martin and float on the calm waters of Mission Bay, San Diego with Bliss. You’ll come back feeling open, zen, tan and bendy. Bliss has teamed up with the super inspiring yogi, @RobinMartinYoga, for an invigorating retreat in San Diego complete with yoga, acro yoga, paddle boarding, healthy bites, and of course, plenty of heart openers and inversions! Whether you’re a first time yogi or an advanced practitioner, this retreat will help you dive deeper into your practice while following your bliss. Retreat includes 4 days, 3 nights accommodation at the hawaiian inspired Catamaran Resort and Spa on Mission Bay, a tropical hideaway on the sparkling shores of Mission Bay. Surrounded by water, the resort is situated on the bay with the Pacific ocean in its backyard. Cruise the boardwalk, explore the shops and restaurants in Mission Beach and relax by the pool or bayside ~ whatever you fancy on your retreat. Be immersed in the California lifestyle while you stretch your body, calm the mind, and meet playful yogis from all over the country. Each package includes daily yoga, 2 paddle yoga classes with bliss, fresh smoothies and/or acai bowls. 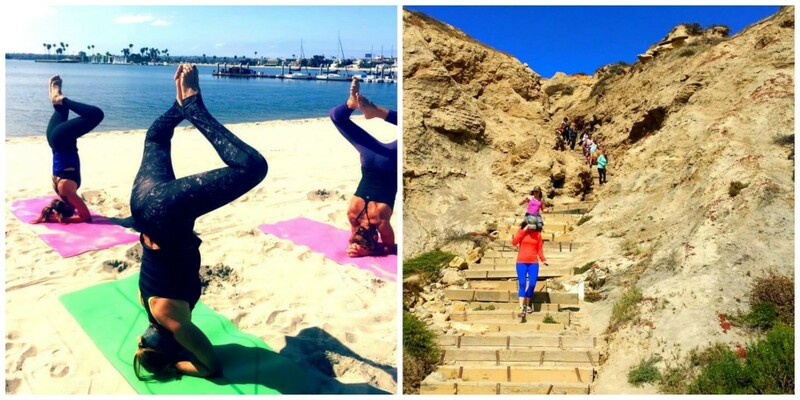 Explore San Diego like a local with excursions to an outdoor acro yoga yoga workshop with Robin Martin and a oceanside hike and meditation to majestic Torrey Pines. All meals made with fresh, healthy local ingredients. Welcome dinner features a flavorful, wholesome meal sourced locally for a farm-to-table experience. The menu is mostly vegetarian with an option for fish or chicken. Most diet restrictions can be accommodated. Fresh juices, smoothies or your choice of an acai bowl to nourish your body following the morning practice. 4 days, 3 nights at the Catamaran Resort and Spa. Daily yoga and acro yoga workshop with Robin Martin. Farm to table welcome dinner. Daily healthy, fresh breakfast and smoothie. Excursions and transportation to Torrey Pines for a hike and meditation as well as an outdoor acro yoga workshop experience with Robin. Bliss Gift Bag with swag from our sponsors. Ideal time to fly in is between 12-4pm on Sunday, Oct. 30th to San Diego International (SAN). Airport transfers can be arranged for $30 one way. We will meet at 4:30pm for a relaxing yoga flow with Robin followed by healthy, local dinner. Questions? Email info@paddleboardbliss.com or call 949.529.4242. Do I have to be an advanced yoga practictioner to participate? Is there some required level of experience, either with yoga or with SUP yoga? ​ All levels are welcome! You do not need be an expert in yoga and beginners are welcome for the sup yoga. What is the retreat schedule like? Are we going to busy for blocks of time during the day? ​Mornings will be spent doing yoga or paddle yoga. Lunch time is free for you explore or relax. On Monday, you have the option of hiking Torrey Pines. 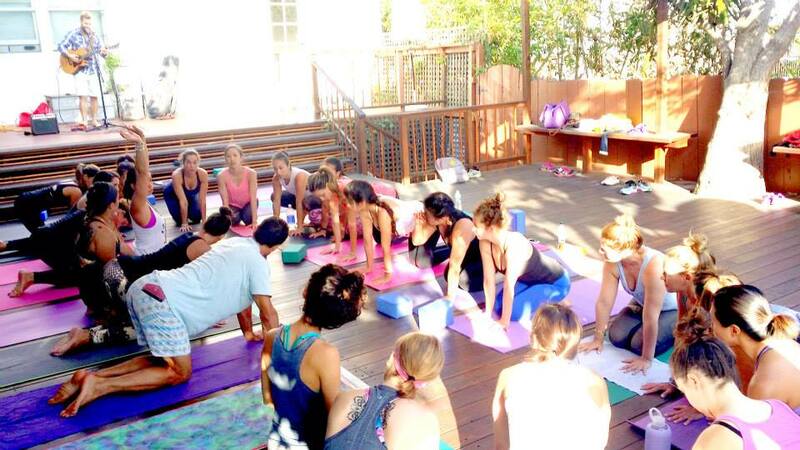 We then go straight to an outdoor yoga studio for Robin’s workshop. Tuesday afternoon you will have more free time in the afternoon and then we paddle yoga during sunset. Please email info@blisspaddleyoga.com for the full itinerary. Which meals will I need to provide for myself? We will meet each other the first night for a fresh, healthy dinner. Healthy smoothies and bowls are provided for breakfast following our morning session. You are free to explore the area for lunches and 2 dinners. Are paddleboards provided? Does it cost extra if I don’t bring my own? ​Yes, all equipment is provided for paddling as well as pictures. Will I need to bring my yoga mat? ​To reserve, please make a deposit online here.​ You can then let us know if you would like a private or shared room or if you prefer just the retreat without the hotel. ​The remaining balance will be due a month prior to the retreat.